VISIBLE joins the Catalyst Network bringing Catalyst team building product to the Greek market. Catalyst Global team building products are now available in Greece through an exclusive license with the highly regarded team from VISIBLE – Visionary Business Learning. 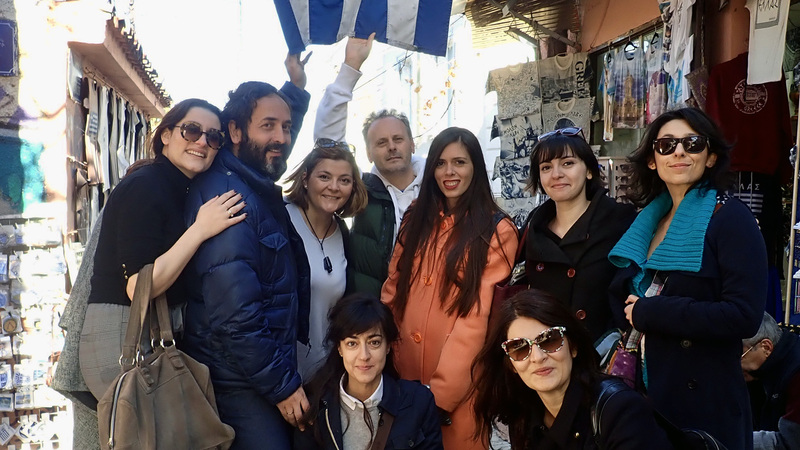 Utilising strong experiential methodology, VISIBLE Greece offer innovative training and team building solutions, completely designed and adapted to the specific needs of each client to ensure maximum positive outcomes. With a vision to be the integral link in the development of clients to continuously improve their human resources and working environment, the team at VISIBLE are a great fit with the ethos of the Catalyst Global team building network. VISIBLE standout for their commitment to training & team building, their holistic approach and their deep knowledge of Greek market. VISIBLE is committed to being stakeholders in their client’s concerns, a firm driver for them to find the right solution to meet the unique needs of each client with the very best outcomes. The team at VISIBLE are excited about adding the globally proven Catalyst team building products to their offering for clients. “VISIBLE was established to offer innovative training solutions, completely designed and adapted to the specific needs of each company and organization. We strongly believe in the benefits provided through teambuilding activities not only for training development but also for bringing people together, have fun and building strong relations among colleagues. Our teambuilding services grow stronger each year and we decided to take VISIBLE to the next level by partnering with the most well-known company in this sector, Catalyst Global. By combining our expertise with that of Catalyst Global, we will be able to provide our clients with innovative and creative experiential solutions and create for them the most memorable and unique training experience,” said Eleana Katsimi from VISIBLE. The team at VISIBLE took part in Catalyst Global training at their office in Athens last week. “We had the pleasure of being trained into the Catalyst Global world by Mark and Rob and we enjoyed not only their enthusiasm and their education but also their friendly approach and professionalism,” commented Eleana.